Have you applied to the Civil Service Fast Stream? Are you currently going through the recruitment process? 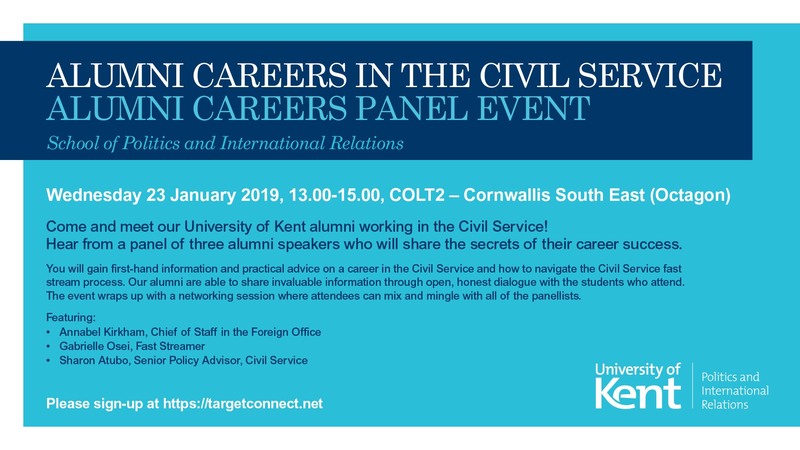 Or are you thinking of applying in the future, but have questions about their schemes or working for the Civil Service? 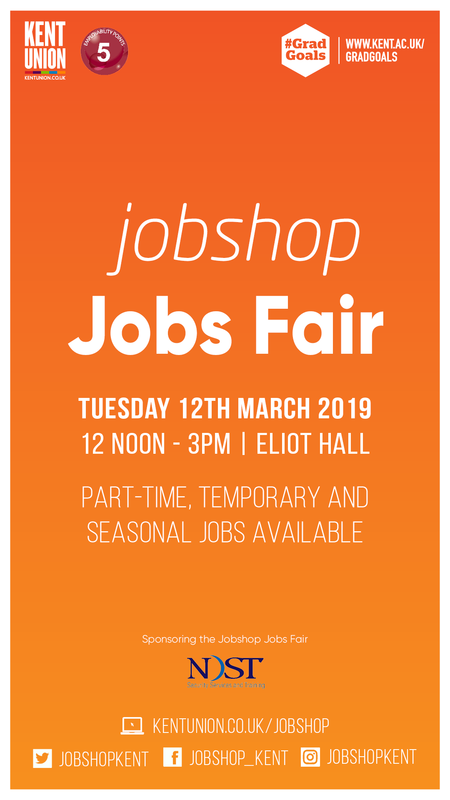 Join Elliot and Sophie, current Fast Streamers, who will be on hand to answer any questions you may have regarding your application, the recruitment stages (including the assessment centre and final selection boards) and working for the Civil Service! They’ll be on campus on Monday 3rd December from 11.30am – 2.30pm, so drop by, no appointment needed! If you have any questions about the Fast Stream, come along and have a chat! The Civil Service is looking for graduates with the potential to progress to the most senior levels of the Civil Service and become our future leaders. By ‘potential’ we mean graduates who have the motivation and ability to progress to the highest levels of our organisation. We are seeking the widest range of people, who can bring differing life experiences to their roles, enriching our organisation and helping us to better represent the whole of the society that we serve. There is no typical Fast Streamer. We believe that people perform their best when they can be themselves at work. We value who you are before you join the Fast Stream and ensure that through flexible working you will still have time for the things that matter the most to you outside work. Do you want to feel more confident and prepared for an interview? The School of Economics is pleased to announce that IBM are running Mock Interview Sessions on Wednesday 21st November, open to all students across the University. 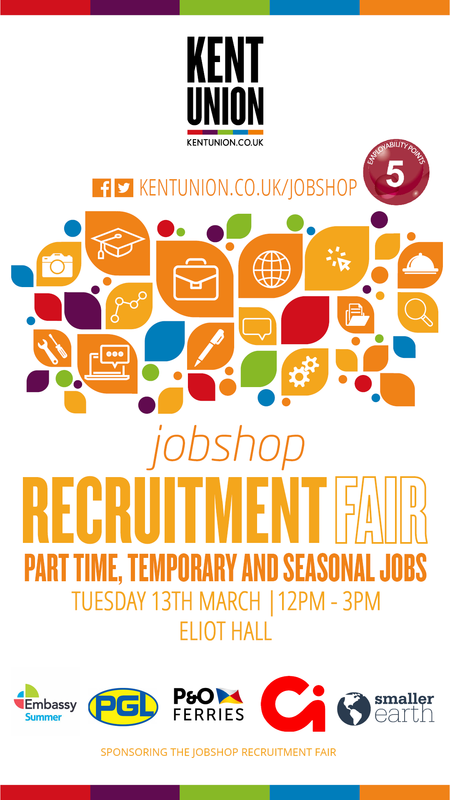 IBM will be giving a presentation on how best to prepare for an interview, exploring potential interview formats and content at 12pm in KS17, followed by one-to-one Mock Interviews during the afternoon, which will include feedback. 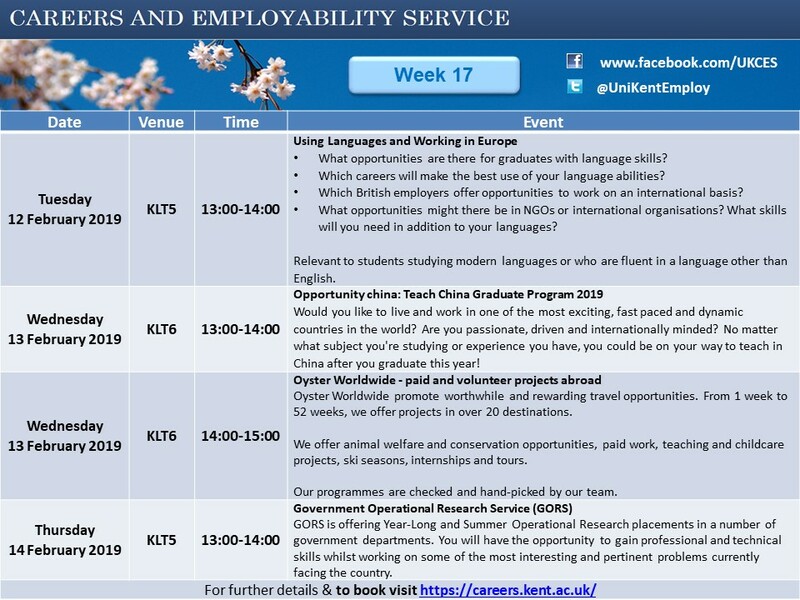 The Mock Interviews have bookable time slots, so please email econemploy@kent.ac.uk to express your interest and we will let you know what slots are available. 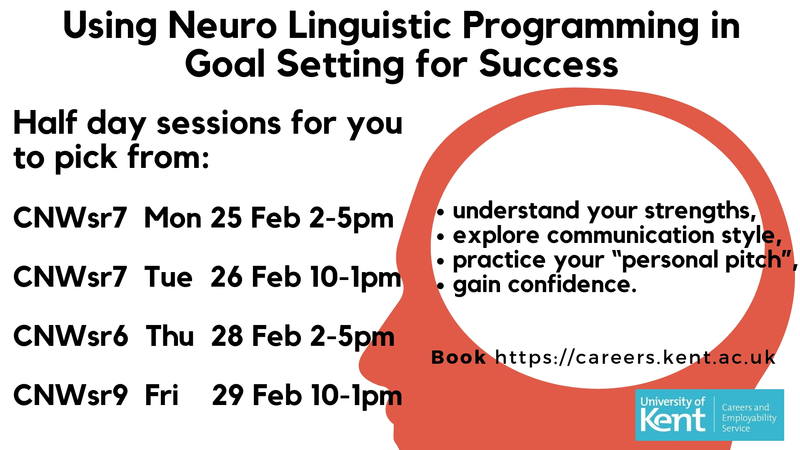 Spaces are limited, so book early if you would like to secure a slot. This week (5th-9th November) is Enhancement Week, with some really exciting events being held at Canterbury and Medway campus. One of these events is Enhancing Personal Performance (EPP); improving your results by knowing your own strengths and controlling how you think, which is an exclusive FREE 2-day event being held 8-9 November, at Canterbury campus. 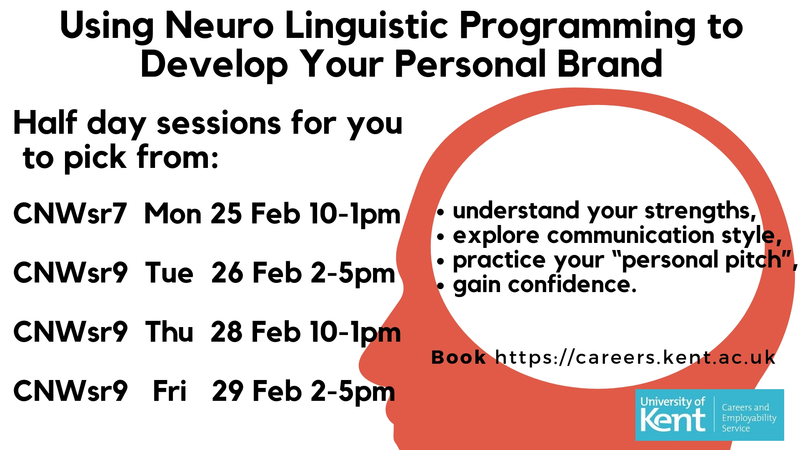 It is a personal/professional development workshop designed to support personal growth, self-confidence and career/life management skills. 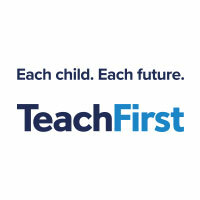 It is activity-based and highly participative, providing opportunities for students to develop and enhance their self-awareness, self-belief and relationship with others. Please note: you must attend both dates, 8th and 9th November. Breakfast and lunch provided. Each session will come with a full explanation, real life examples and facilitator-led exercise. Do you have a desire for a career in a museum or as a teacher, or maybe you just think it would be cool to do some research that extends beyond your degree, or you like blogging, or photography, or you are interested in the time period 1775-1848? The Age of Revolution project are looking for additional student volunteers to join an exciting project running from 2017-2020, in partnership with Waterloo200, the Historical Association, Culture24, and a range of museums, libraries, and archives across the UK. If you think that this could be something you would be interested in, please find further information on the attached flyer and complete the application form, returning to Becky Beach at ageofrevolution@kent.ac.uk by Monday 19th November. 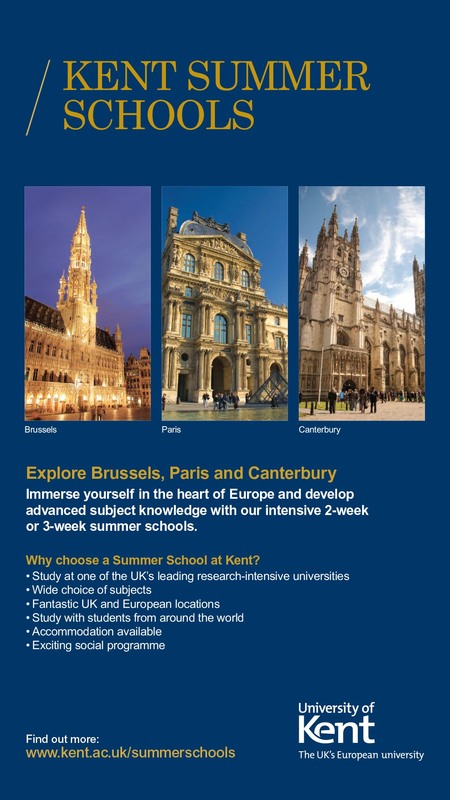 The University runs a huge range of Study Plus courses that give you the opportunity to explore new areas and skills alongside your degree. 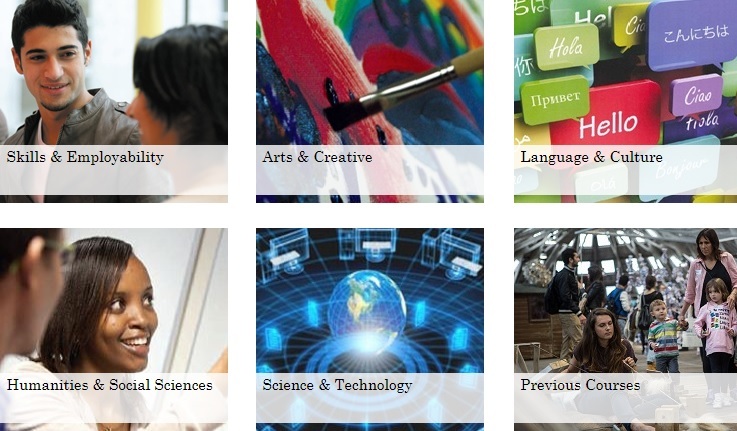 Study Plus courses are short modules that are optional, extracurricular, and entirely free. Psychometric testing and assessment centres are common methods that many employers use during their recruitment process. A team from HM Treasury department is coming to the campus next Wednesday, to allow you to practice the tests and learn what to expect and how to prepare. 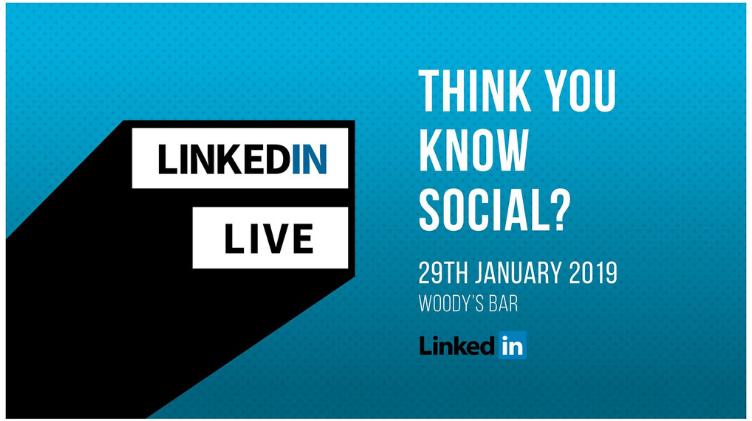 Attend this session and earn yourself 10 employability points! Open to all students. 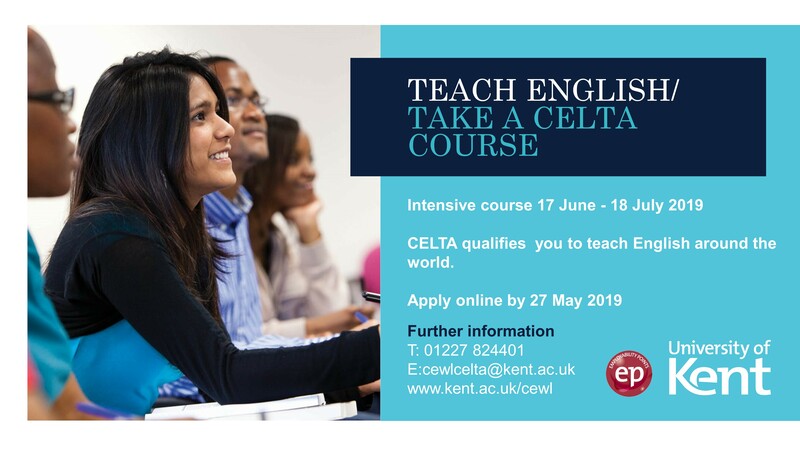 To sign up please email: econemploy@kent.ac.uk. Once signed up, the room will be confirmed.